Having a high impact wedding reception table is easier than you think! 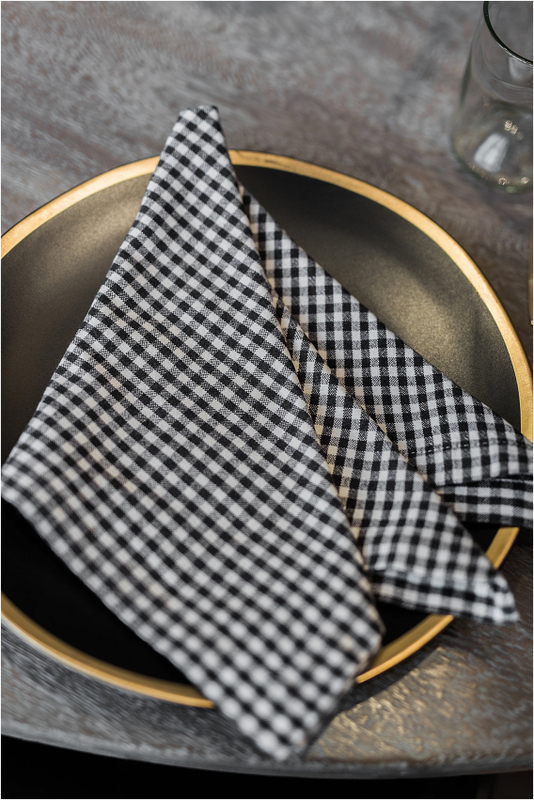 Opting for textured or patterned napkins is a start. 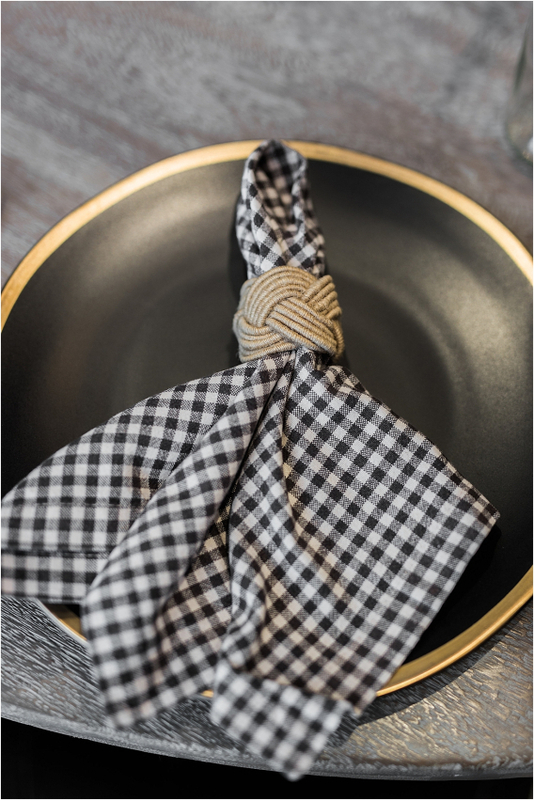 When you add in the simple napkin folding ideas shown here, you can create a memorable look. These ideas were found at Encore Events Rentals on a recent media trip to Sonoma County with Off the Beaten Path Weddings and Venone PR. I asked our photographer, Krista, to snap images of these for me because I thought they were so pretty YET very easy to make. Take a peek! 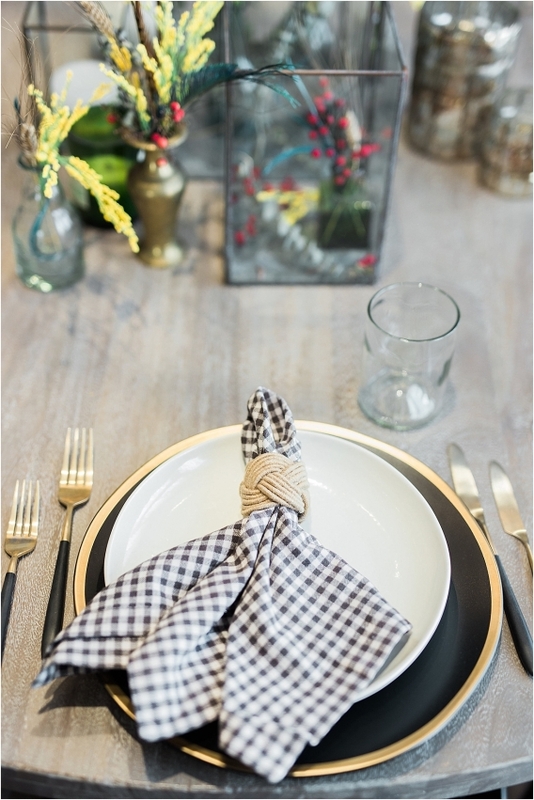 I will have to admit that I partially fell in love with the gingham checked napkins – they are so cute and go with a variety of palettes. Add in a gold-rimmed, black plate, and it’s perfection! 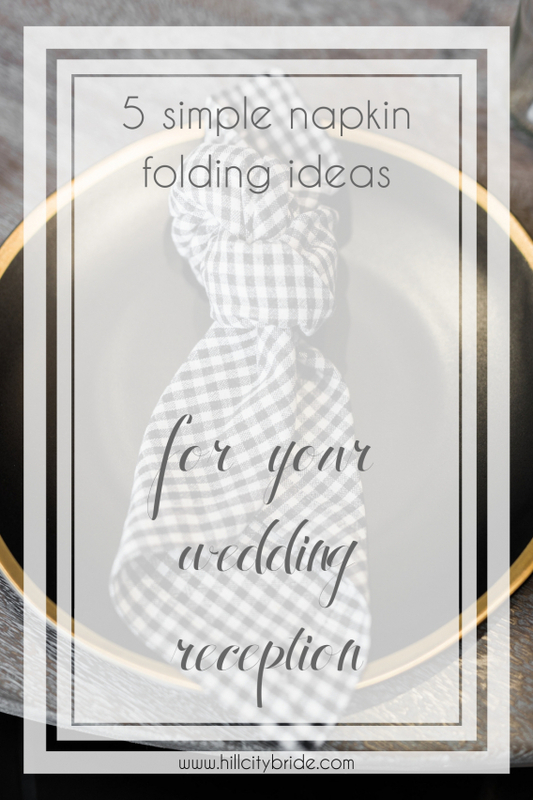 But I’m here to show you a few napkin folding ideas, so here are 5 that you can easily implement into your big day (or even a rehearsal dinner). 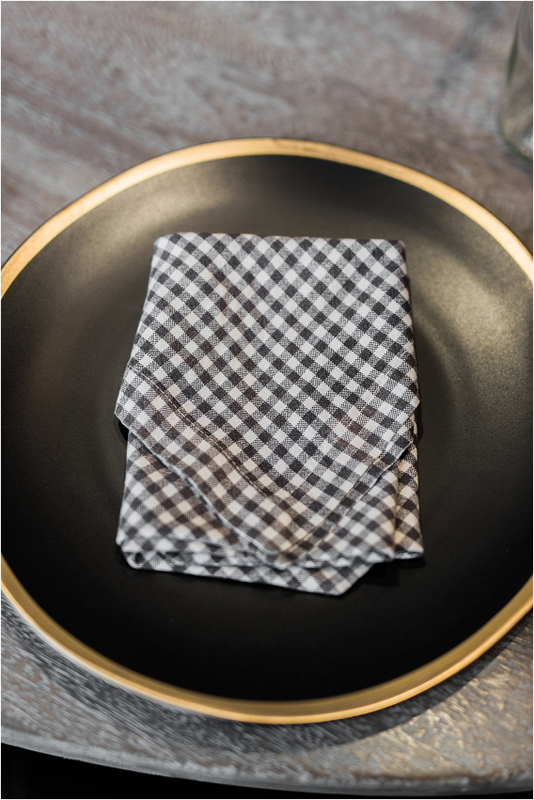 This napkin fold is a classic, and it makes the perfect base for a favor, menu, or place card. If you aren’t convinced that this fold is super easy, just head here to see a 40-second how-to video. Yes, it is THAT easy. Another great base for a favor or menu card, this long envelope fold is unique yet also lovely. Head here for a normal envelope fold video. To make the long one, just skip the last step of folding the napkin into thirds, and fold it in half instead. Voila! If you are searching for a really easy idea, this one is it! 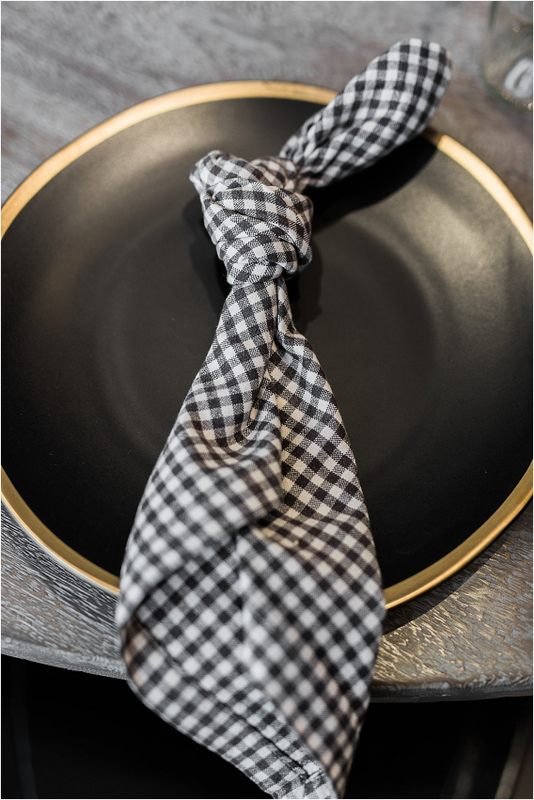 The best part is that this simple knot can be premade and set aside to put on the table settings when the time comes. All you do is gather your napkin and tie a knot about a third of the way down. So cute! Fans of napkin rings rejoice! This one may be better for the rehearsal dinner due to the napkin rings, but the added texture adds so much dimension to the look. 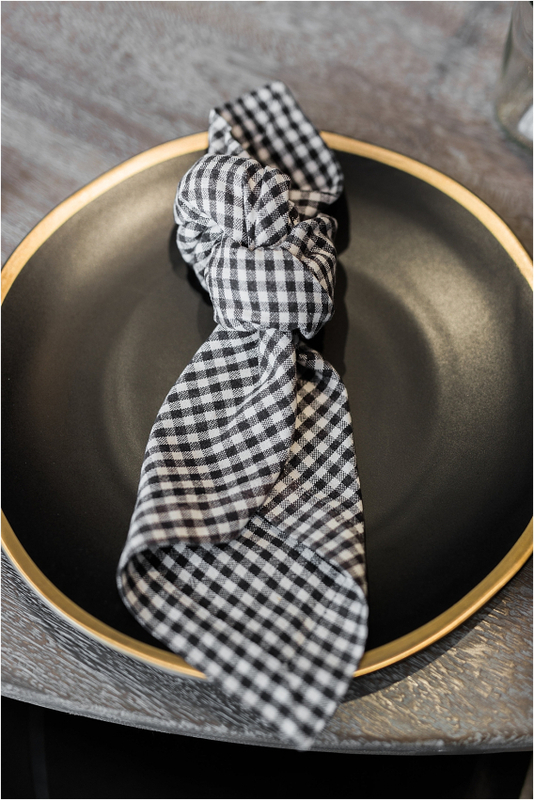 Make a French Fold and stuff your napkin ring. Perfection! The last idea has got to be my favorite! This chunky knot is adorable and inviting. Just make a knot about a third of the way down, and pull the knot out a bit to give it a bit of fluff. So cute! There are so many napkin folding ideas out there, but I hope these gave you a few options to add just a bit more panache to your reception tables. If you would like to see more tabletop ideas from my trip to Sonoma County, see here. It is a beautiful place! I never know that napkin folding can be an art but after seeing your post I am sure I was missing the great idea. It looks amazing and the way you described is fab. I loved these. You make it look very easy! I am going to have to get rid of the paper napkins and buy some cloth napkins. It seems fairly easy and instantly upgrades a table. I love the knotted one with the lovely string. They can go for any formal occasion too not just weddings. I love the napkin rings and yeah, I’m in for the ring style. We’re used to long envelope fold at home and I’d love a change! These are so cute! I love the large knot! I will have to try it myself!